Frank and Son Collectible Show Every Wednesday & Saturday Booth #312 19649 E. San Jose Ave. ACE will be on-site for autograph authentication of previoulsly signed items. 1/19/2014 Westchester County Center 198 Central Ave. ACE will be on-site for autograph authentication of previously signed items. 2/9/2014 Overland Park International Trade Center 6800 W. 115 St. Legends Sports Cards 2/22/2014 Legends Sports Cards 32245 Mission Trail Rd. 3/23/2014 Donald E. Stephens Convention Center 5555 N. River Rd. 3/23/2014 Westchester County Center 198 Central Ave.
3/30/2014 Shriner’s Auditorium 99 Fordham Rd. 4/13/2014 Monroeville Convention Center 209 Mall Blvd. ACE will be on-site for autograph authentication of previously signed items.ACE will be on-site to provide Signed in the Presence Certification. Strike Zone 4/24/2014 Strike Zone 1205 Grant Ave.
5/4/2014 Westchester County Center 198 Central Ave. Legends Sports Cards 5/10/2014 Legends Sports Cards 32245 Mission Trail Rd. 6/15/2014 Sierra Vista Mall 1050 Shaw Ave. Legends Sports Cards Summer Date TBA Legends Sports Cards 32245 Mission Trail Rd. 8/10/2014 Monroeville Convention Center 209 Mall Blvd. 8/3/2014 Donald E. Stephens Convention Center 5555 N. River Rd. ACE will be on-site for autograph verification of previously signed items. 8/17/2014 Westchester County Center 198 Central Ave. Legends Sports Cards Fall Date TBA Legends Sports Cards 32245 Mission Trail Rd. Strike Zone Fall Date TBA Strike Zone 1205 Grant Ave.
10/6/2014 Westchester County Center 198 Central Ave.
11/16/2014 Sierra Vista Mall 1050 Shaw Ave.
11/23/2014 Donald E. Stephens Convention Center 5555 N. River Rd. Legends Sports Cards Winter Date TBA Legends Sports Cards 32245 Mission Trail Rd. 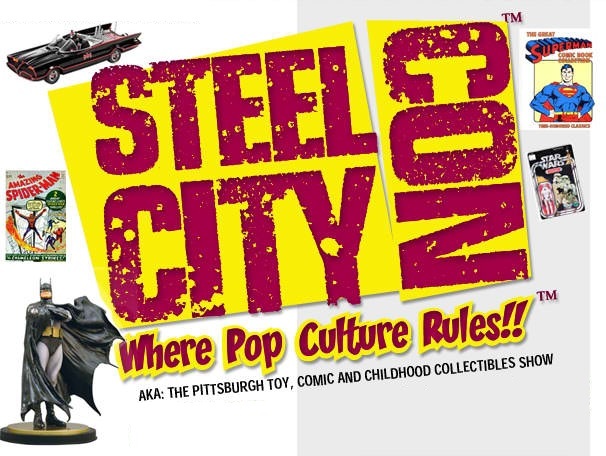 Steel City Con TBA Monroeville Convention Center 209 Mall Blvd.